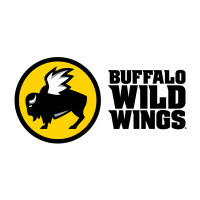 Originally known as Buffalo Wild Wings & Weck, the company is a restaurant that specializes in buffalo wings. It has franchises and branches all over the United States, Mexico, Canada, India, Oman, Saudi Arabia, UAE, and the Philippines. The restaurant was established in 1982 when founders Scott Lowery, Jim Disbrow, and Bernard Spencer met for a figure skating competition. The first restaurant opened in Columbus, Ohio, followed by another branch in Westerville. Buffalo Wild Wings has over 1000 locations. Salads, flat breads, and wraps are now part of the menu. There are also 16 sauces to complement buffalo wings: Thai curry, garlic, Caribbean jerk, honey barbecue, teriyaki, and parmesan, to name a few. The company offers retirement and welfare benefits to their employees. The latter are enrolled in health insurance programs. In addition, employees get eyecare and dental benefits. Other benefits include long-term and temporary disability insurance. Meanwhile, tax contributions are deducted from their salary. People like working in Buffalo Wild Wings because the environment is challenging and fast-paced. Managers and their staff maintain a high morale and standards. They try as much as they can to grow professionally. Most careers in Buffalo Wild Wings require applicants to be at least 18 years old, but the company offers jobs to 16-year-olds who qualify for entry level jobs. The cook should be able to perform the usual culinary duties. His tasks include frying, grilling, steaming, sautéing, and baking. He’s also expected to keep and manage the inventory, regularly check, and restock food bins, and clean his work station. The cashier handles transactions with customers. He is responsible for greeting customers and taking their orders. He will also receive information from the kitchen. Moreover, the cashier is expected to do an accurate accounting of transactions and disbursements. He should also itemize food and beverage orders. The server transacts with customers, ensuring that their orders are delivered on time. He warmly welcomes guests upon their arrival and engages them through a smart conversation. Servers in Buffalo Wild Wings provide an enthusiastic and friendly way of talking to customers. They should also practice safe food handling. This job requires the employee to be friendly and accommodating to guests. He must know the principles of hospitality and must be readily available to accede to the customers’ requests. The shift leader will assist the general manager in running the bar and restaurant. He oversees the schedules of the staff, and ensures each employee does his tasks during his shift. He must be able to execute quality operations. The bartender’s task is to create awesome drinks for customers. He will mix drinks and come up with unique beverages to pair with the customer’s food. He should have an extensive knowledge of the latest and most popular alcoholic drinks. He is enthusiastic and a great communicator. He will assist in the day-to-day operations of the restaurant and ensure quality service is delivered. He will supervise the restaurant on a shift-by-shift basis, however. He is also responsible for all foods and product in the Heart of House (HOH) area. The restaurant manager is a team player who can work in the fast-paced environment of Buffalo Wild Wings. He provides leadership to his team and trains them as needed. He evaluates the performance of his staff. The general manager reports to the district manager about the operations of the branch. He oversees all operations of the restaurant, including hiring and firing employees, purchasing supplies, equipment, and food. He ensures the kitchen and dining areas are clean and well-maintained. He also makes decisions on the menu. The task of the regional manager is to supervise the operations of branches in his assigned district. He gives directives to the general manager and acts as coach to the rest of the staff. He primarily serves as the liaison between the branches and the main office. To apply, search for vacancies online. The Buffalo Wild Wings website has a list of careers available, and there are Apply Now buttons to confirm one’s application. Applicants are required to encode their email address through Snagajob. They will also have to disclose their location and the platform will automatically check if there are vacancies at Buffalo Wild Wings branches nearby. There’s an application form available in PDF format. This document is printable and editable. Applicants are asked to either upload or send their resumes reflecting the qualifications for the job. The resume, on the other hand, should highlight one’s skills, especially the years of experience in the restaurant industry. Interviews last for not more than 30 minutes. The usual question is why the company should hire the applicant. Applicants must be confident and ready to answer the questions. Buffalo Wild Wings isn’t invincible to setbacks. The original restaurant in Ohio closed in 2006, but it was replaced by a more spacious branch in 2007. The company also boasts of a unique pricing structure for their food. Over the last years, Buffalo Wild Wings was able to modify their prices and make them more affordable to the masses. Moreover, Buffalo Wild Wings is big when it comes to strategic establishment of branches. Over the years, most of the franchises are near college campuses. It’s also quite popular among families in the Midwest. What’s interesting is that Buffalo Wild Wings keeps a gallery of their once-famous sauces. Some of these are salted caramel barbecue, ghost pepper, and wasabi. Despite these sauces not getting a permanent spot in the menu, the restaurant gets to sell almost 2 billion wings every year, making Buffalo Wild Wings one of the top selling restaurants in the US. Thanks to the leadership and dedication of Sally Smith for more than 20 years, Buffalo Wild Wings continues to soar.